We here at Michiana Paint strive to bring you the best in interior and exterior paint. Nothing brightens up your house like a splash of new color. Maybe you only want a wall to accent other colors? Then Michiana Paint can do that. Maybe you need a whole room or two or three rooms? Michiana Paint can do that too. Maybe it’s the whole house, inside and out? We can do any and all painting projects and our workers are the top of the game. 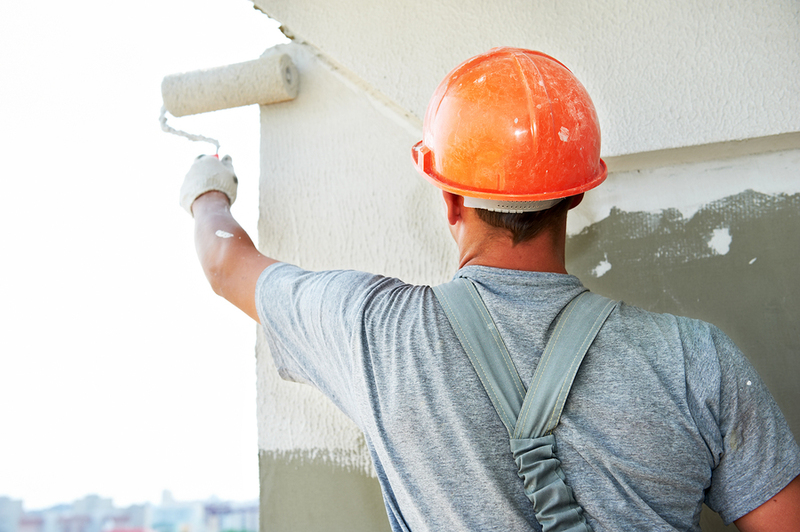 Our workers will come and inspect your house and can make any repairs necessary before painting. The key to a great and attractive paint job is the base. If your walls have bumps and tears, they’ll show right through the top coat. We will sand everything smooth so the paint will go cleanly. Our workers will take care of any clean up needed. No one likes workers to come into their house and make a huge mess. It’s already a hassle to have someone home and make arrangements to be home so more dirt isn’t going to be good. We can come over and help you decide your color scheme. We have years of experience and can lead you in the right direction but we will not make any decision for you. We here at Michiana Paint are here to help you make your home more beautiful and you have the final say before any paint is brushed on. Color is a very important part of the painting process. The right color can make or break a room. Colors can affect your mood; for instance bright colors are used in baby rooms to spur the child’s senses, so picking the right color is a very big decision. Accent colors on trim or doors can really brighten up a base color. Some people say accent colors make the base color ‘pop’. One color all through the room, also known as monochromatic, can make things seem sterile. Another words, if the whole room is white, a little brown or blue can make the white really shine. We do the whole job and we do it right. From cleaning the walls to make sure no grease is still around, to taping off windows and shelving, to the actual painting itself, Michiana Paint prides itself in doing things right the first time so you can get back with your life. Exterior painting presents problems of its own but with our many years of experience we are way ahead of the curve. We will power wash the entire house to make sure there is no mildew or flaking paint left over from years of abuse from the weather. Just as inside the house, making sure the surface is clean so the paint can adhere to it right makes for a good final paint job. We also make sure any and all shrubs or trees are protected so when the job is done you don’t have paint overspray everywhere. Michiana Paints are here for you.